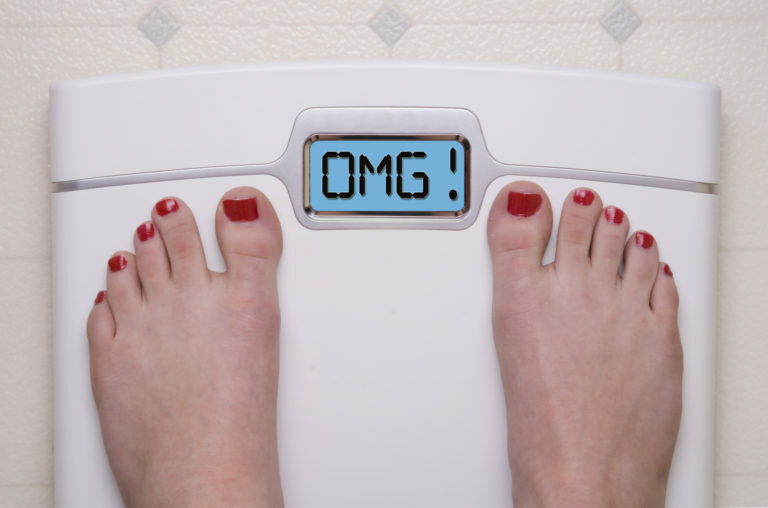 Do you normally gain weight during the holidays? Could that holiday weight be directly causing your foot pain? Is that foot pain preventing you from exercising like you used to? What even are the best steps for foot care? Weight is an important, albeit potentially sensitive, the topic for all healthcare professionals to discuss with their patients. Each year more and more Americans are overweight or obese. Obesity Research & Clinical Practice’s 2017 medical study shows a direct correlation between a person’s Body Mass Index (BMI) increasing and that person’s odds of developing foot issues. In turn, those issues cause pain and decrease the desire to exercise. It is a terrible cycle that can spin out of control, but it doesn’t have to be. Dr. Amin has some great steps to offer you to help you get back on your feet, pain-free! You do not need to be obese to feel negative effects on your feet, gaining just 10 pounds can result in painful symptoms and increase the likelihood of developing unwanted conditions. Everything is connected. Extra weight can change your gait and posture, putting an abnormal strain on the tendons in your feet and ankles. Which then, in turn, can affect your knees, hips, and back! Furthermore, the extra weight places additional pressure and stress on your feet, making standing and walking uncomfortable or painful. Unnecessary risk factor. Being overweight increases the likelihood of developing conditions such as diabetes, gout, stress fractures, osteoarthritis, tendonitis, plantar fasciitis, and too many more. Be sure to discuss any symptoms you experience with your podiatrist to diagnose potential conditions as early as possible. Please note that the below basic steps for weight loss are not an adequate substitution for seeing healthcare professionals and creating a plan tailored to your specific needs and abilities. Stretch. Stretching is a great activity that benefits everyone. We recommend starting with heel raises, toe raises, standing calf stretch, standing soleus stretch, and rolling your foot over a tennis ball. It is important to stretch daily, especially after exercise. Get moving. Start slow and ease into exercise. Choose low impact activities like walking or swimming to start. Cycling and water aerobics are other low impact exercises to consider. If you feel pain stop the exercise immediately; avoid any activity that causes pain. Maintain accountability by getting a workout buddy or fitting physical activities into your social life. For example, you could make a habit of taking a family stroll after dinner every night. Keep moving. As your strength and endurance increases, look into more challenging exercises and activities. Regardless of your weight, there are multiple steps for maintaining optimal foot health. Shoes. Proper fitting shoes with good arch support are vital for maintaining healthy feet. It is recommended to resize your feet every year as they are likely to get wider and flatter over time. Furthermore, the balls of our feet and our heels lose their natural cushion of fat as we age. That padding of fat acts as a shock absorber so you may need to add a high-quality insert if your shoe doesn’t have sufficient cushioning. Ill-fitting shoes can also cause bunions, hammertoes, corns, blisters, and more. Worn in shoes are worn out shoes; replace shoes when they stop supporting your foot or when they start to cause pain or discomfort. Hygiene. Good hygiene cannot be emphasized enough. Wash your feet from top to bottom with a mild soap, making sure to clean under your nails and between your toes. Allowing soapy water to run off your body, over your feet, and down the drain does not clean your feet and toes. Dry your feet thoroughly; a moist environment encourages the growth of bacteria and fungi. Finish up with a quality foot moisturizer and allow it to absorb into your skin before putting on socks. Moisturization is especially important because, as we age, the sweat glands in our feet become less active and results in drier skin. Instead of risking infection (or worse!) at a regular nail salon, go to a medical spa for all your nail treatment needs. Diabetic Care. If you have diabetes it is of the utmost importance that you never miss your regular podiatrist appointments. See your podiatrist as soon as possible if you suspect that you have an infection or foot injury of any kind.